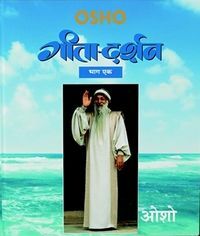 Osho's discourses in Hindi on the Bhagavad Gita were given in the early 70s over a period of several years, and first published as a series of 17 or 18 volumes, under the title of Geeta Darshan. Since the 90s, an eight-volume format has been adopted, each volume combining two or three of the earlier volumes. See the Geeta-Darshan master page for details. 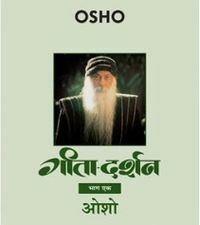 This volume is the first of the eight-volume set, and contains Osho's discourses on chapter 1 (adhyaya 1: Arjuna–Visada yoga), chapter 2 (adhyaya 2: Sankhya yoga) and chapter 3 (adhyaya 3: Karma yoga) of the Bhagavad Gita. 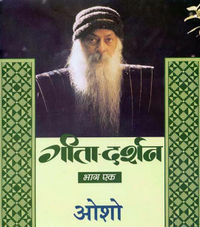 It was originally published in two or three volumes corresponding to Osho's series of discourses. Talks for this volume were given in Ahmedabad (adhyaya 1 & 2) and Mumbai (adhyaya 3). 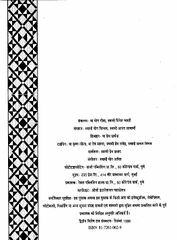 Note that Osho has translated into Hindi and interpreted the original Sanskrit 'shlokas' of the Bhagavad Gita, and refers to them throughout the whole series, not as 'shlokas' , but as 'sutras' . 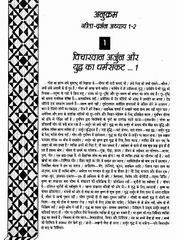 Part 1&2 was later published as two books: Yudh Aur Shanti (युद्ध और शांति) and Na Janm Na Mrityu (न जन्म न मृत्यु); Part 3 as Karmayoga (कर्मयोग). 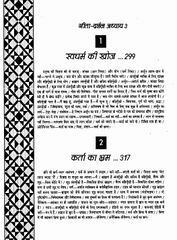 Later ch.1-4 Adhyaya 1 published as Geeta: Manovigyan Ka Param Shastra (गीता : मनोविज्ञान का परम शास्त्र); ch.5-8 Adhyaya 1 as Geeta: Krishna Ka Yog-Vigyan (गीता : कृष्ण का योग-विज्ञान) (its discussion; ch.1-4 Adhyaya 3 as Geeta: Vigyan, Kala, Adhyatma (गीता : विज्ञान, कला, अध्यात्म). 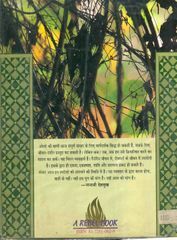 Part 1&2 has been translated into English as Gita Darshan, and part 3 as Gita Darshan, Vol 2. This page was last edited on 29 March 2019, at 07:36.